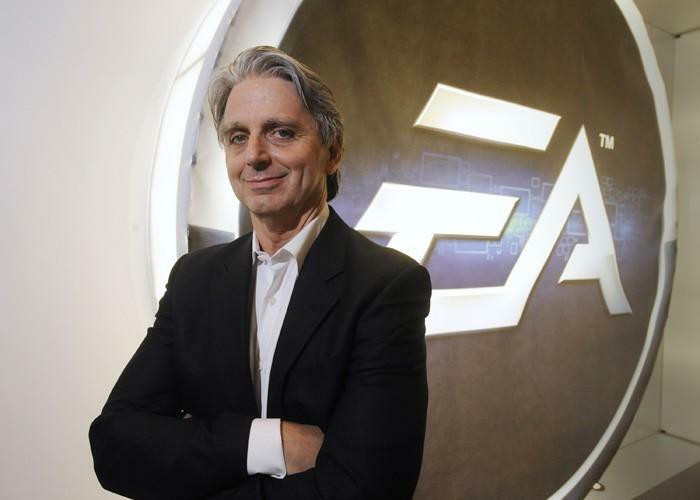 EA's chief executive officer John Riccitiello will finish his tenure with the company at the end of this month, on March 30. He will also relinquish his role as a member of the company's board of directors. EA said it has appointed Larry Probst as an executive chairman while the company searches for a replacement. We thank John for his contributions to EA since he was appointed CEO in 2007, especially the passion, dedication and energy he brought to the Company every single day," said Mr. Probst. "John has worked hard to lead the Company through challenging transitions in our industry, and was instrumental in driving our very significant growth in digital revenues. We appreciate John's leadership and the many important strategic initiatives he has driven for the Company. We have mutually agreed that this is the right time for a leadership transition." Riccitiello said he said it was time for him to move on. ""EA is an outstanding company with creative and talented employees, and it has been an honor to serve as the Company's CEO. I am proud of what we have accomplished together, and after six years I feel it is the right time for me pass the baton and let new leadership take the Company into its next phase of innovation and growth," the former CEO said. "I remain very optimistic about EA's future — there is a world class team driving the Company's transition to the next generation of game consoles." It's unclear what led to the decision, although the company's stock price is currently trading at $18.71, down from a five-year high of more than $59. Our gaming editor Joey Davidson said the writing has been on the wall for quite some time, but even he's surprised by the shake-up.